Businesses both small and large can benefit from local search marketing. “How, exactly?” you may be wondering. Lucky for you, this blog post is dedicated to answering that question! Before we speak about the potential of this awesome marketing method, we’ll lay down a sterile definition of exactly what it is. Search engine marketing is essentially paid search engine optimization. In other words, it involves you paying for the best listings on search engine results pages based on certain keywords. When you optimize those paid search efforts for local consumer niches, big things happen. Consumers who use local search are quick to take action. According to Google, 50 percent of consumers who performed a local search on their smartphone visited a store within 24 hours, and 34 percent who searched using their desktop computer or tablet did the same. That’s because when someone searches with local intent, they’re in a buying mindset. Consider the buyer’s journey of a young person preparing to file a tax return for the first time. First, they might search for something along the lines of “how to file a tax return” as they research their options. Perhaps they’ll determine that having a CPA do their taxes is their best bet. After that decision is made, it’s time to find a worthy CPA. Our young, fictional friend will now search for “Long Island tax accountant” with the intent to make a purchase on tax preparation services. If you ran an accounting business in this imaginary scenario, you’d want your website to be among the first that pops up on the search engine results pages. Because consumers are in a buying mindset when they use local search, they are typically seeking information such as business addresses and contact information. That means your local ads should contain all sorts of information including location, phone number and hours of operation. The Google study we previously cited in this blog also determined that 68 percent of searchers click on those “Get Directions” and “Call” buttons that pop up on mobile web browsers. When the contact information of your business is literally just a push of a button away, customers will feel much more inclined to give you a call or even pay you a visit in person. Local search ads are priced on a pay-per-click (PPC) basis. That means you only pay when someone clicks on your ad. 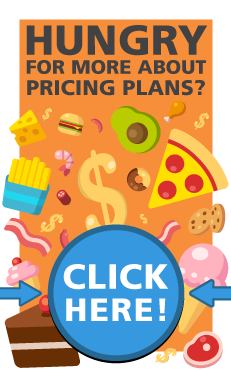 As if that wasn’t a sweet enough deal already, there are plenty of ways you can design your ads to spend even less on PPC. Local search marketing doesn’t end with paid search advertising. When someone performs a local search, business review websites like Yelp and TripAdvisor are among the first results. A staggering 88 percent of consumers trust online reviews as much as personal recommendations. That being said, it’s important to build up a strong base of positive customer reviews to establish your brand as one that can be trusted. From the statistics we provided in this blog, you may have noticed that local search marketing is particularly effective on mobile devices. Coupled with responsive web design that operates smoothly on smartphones, local search can quickly increase traffic to your business.